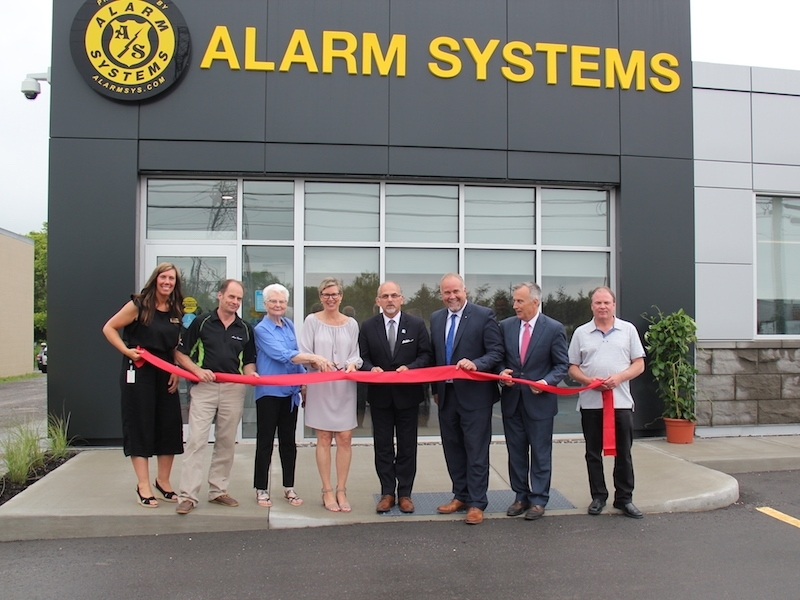 Belleville, Ont.-based Alarm Systems officially opened its new facility and signal receiving station on Wednesday with a ribbon-cutting ceremony and networking event for customers and security partners. 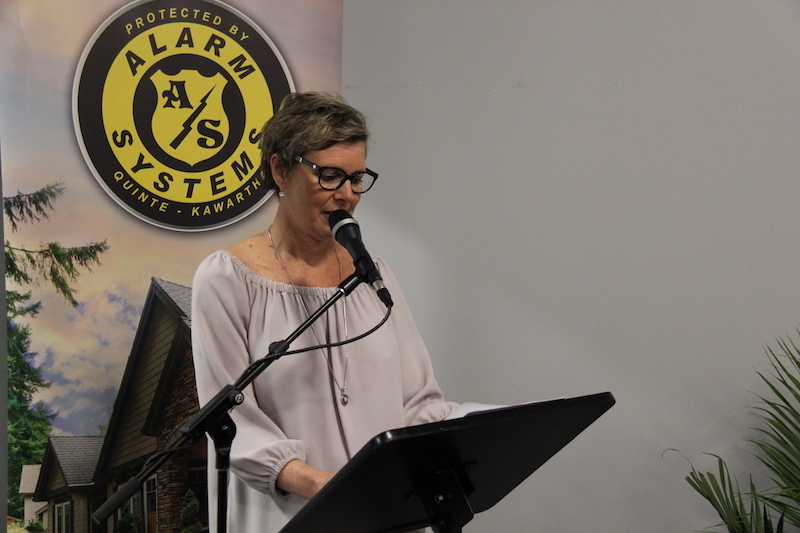 In her opening remarks, Kristen Crowe, president of Alarm Systems, reflected on the family-owned company’s journey to the reopening. 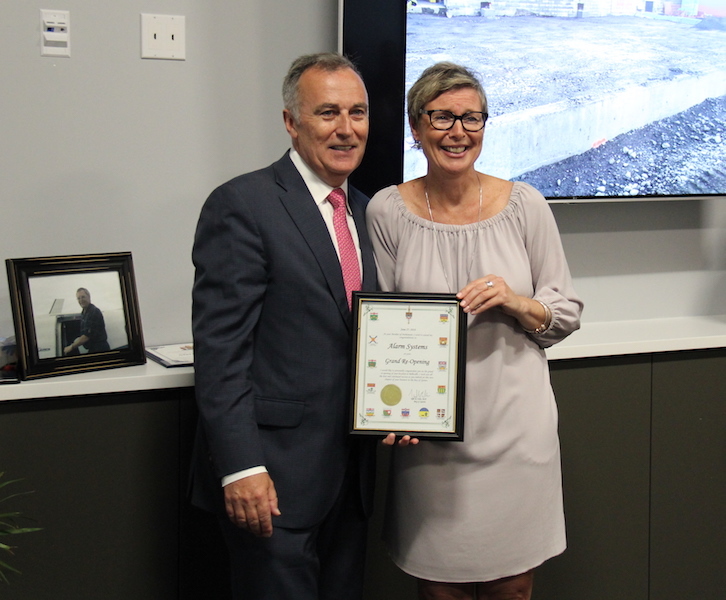 “Almost 50 years ago, my dad purchased this property and moved what was back then his electrical contracting business from…Coleman Street to this northeast industrial park,” she explained. 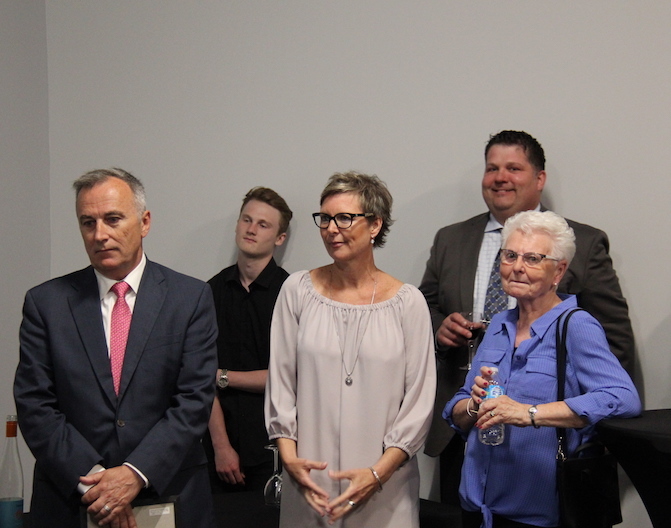 “The building at that time was approximately 900 sq.-ft., and, over time to accommodate growth and the opening of new businesses, he continued to expand the footprint with three or four new additions. The new ULC-listed signal receiving station and contact centre is housed in the 2500 sq.-ft. addition. 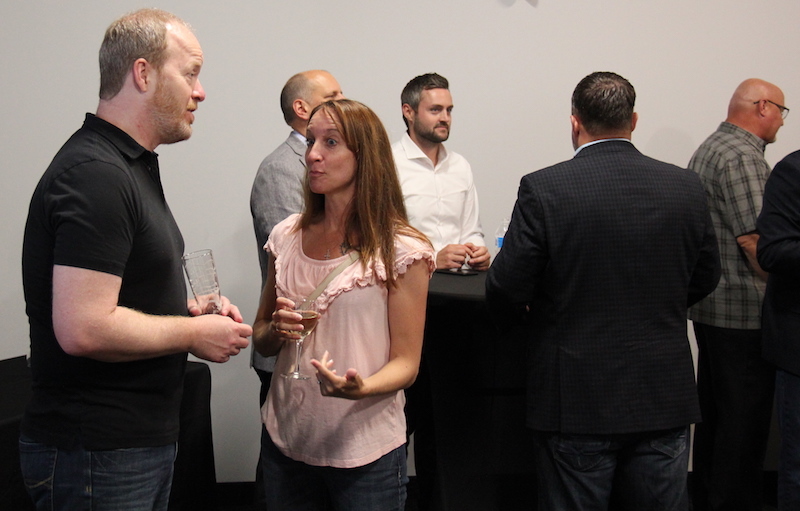 At the celebration, attendees were given the opportunity to tour the new facility in small groups. 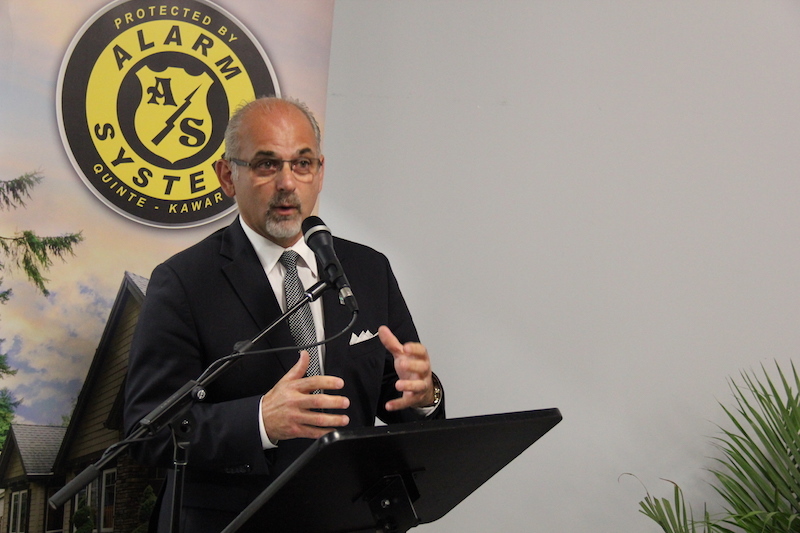 According to Shelley Gordon, central station supervisor, their operators respond to 100 alarms in an hour, and 1,200 alarms within 24 hours. Meanwhile, the receivers process about 80,000 signals in a 24-hour period. The new facility also houses T.A.S. 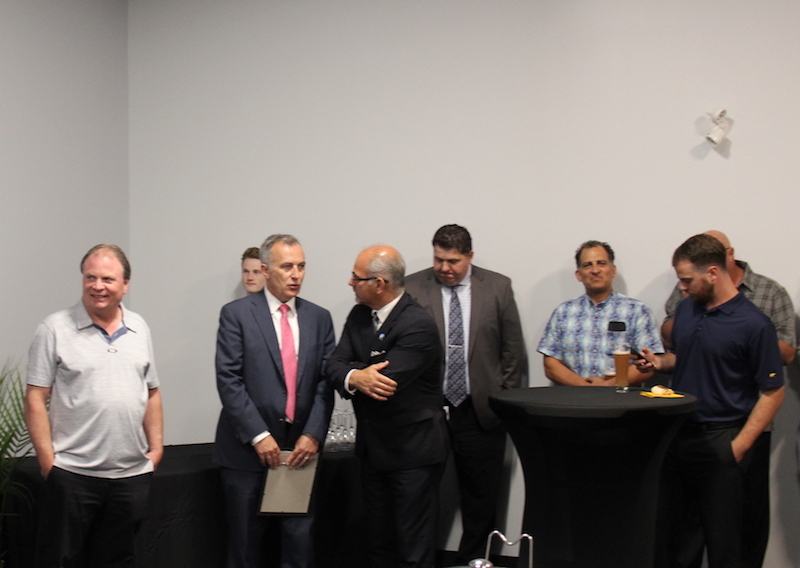 Communications, which provides client-specific solutions and supports the health-care, real estate, industrial and manufacturing industries, as well as municipalities. 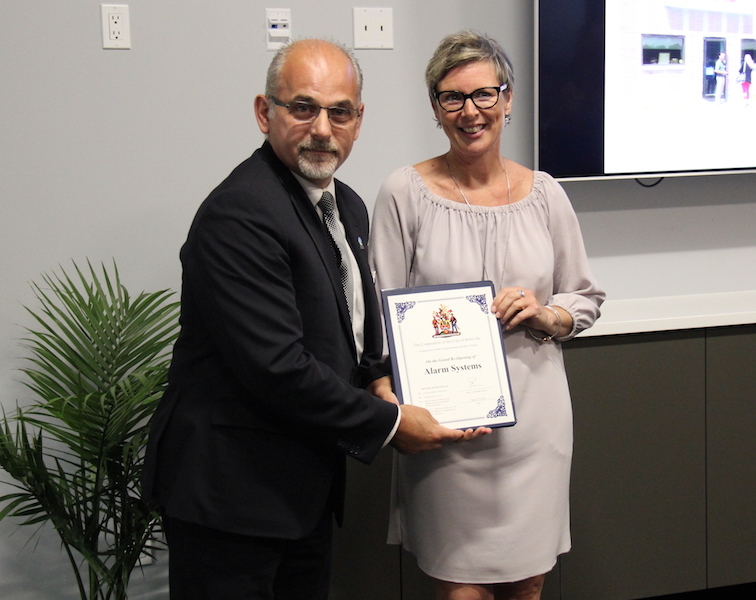 A member of the Canadian Call Management Association, the company has won the CAM-X award of excellence for 21 consecutive years. 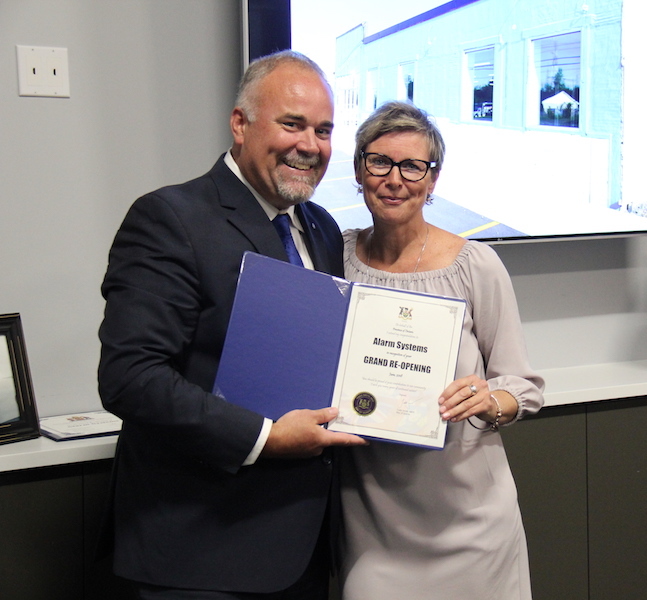 Before expanding, the signal receiving station and contact centre was housed in a different building in Belleville’s downtown core. In an interview with SP&T News, Crowe says the new centre provides more space for the staff and opens the door for future growth. 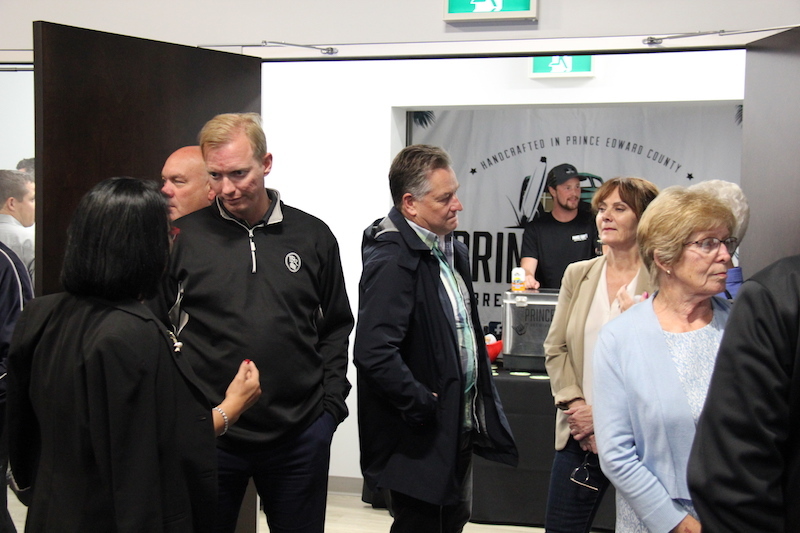 The company is split 50/50 between commercial and residential, she adds, and is looking to set itself up strategically to foster further growth. 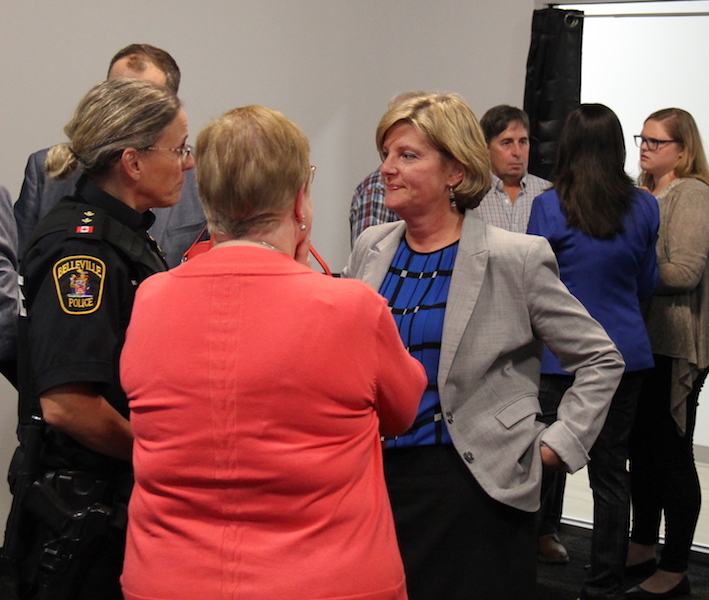 She emphasizes that Alarm Systems’ future plans depend on demand in the area. 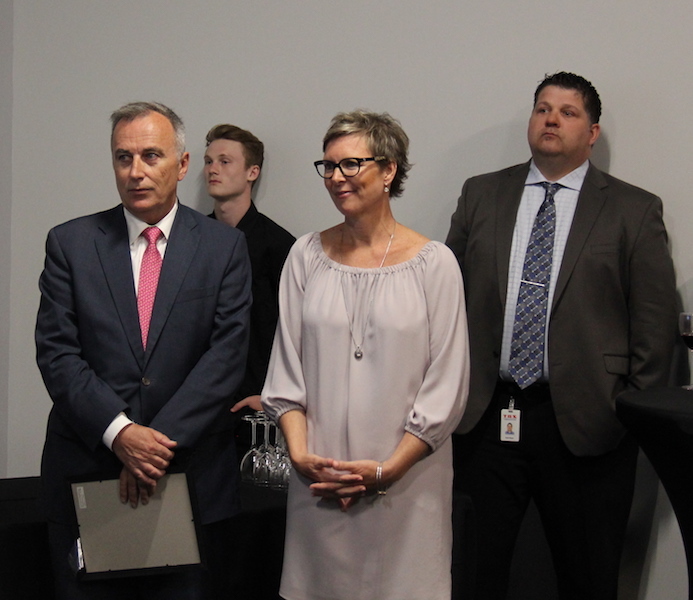 The company services the 401 corridor and south-eastern Ontario, with a specific focus on the Bay of Quinte region, which Crowe says is undergoing rapid growth. 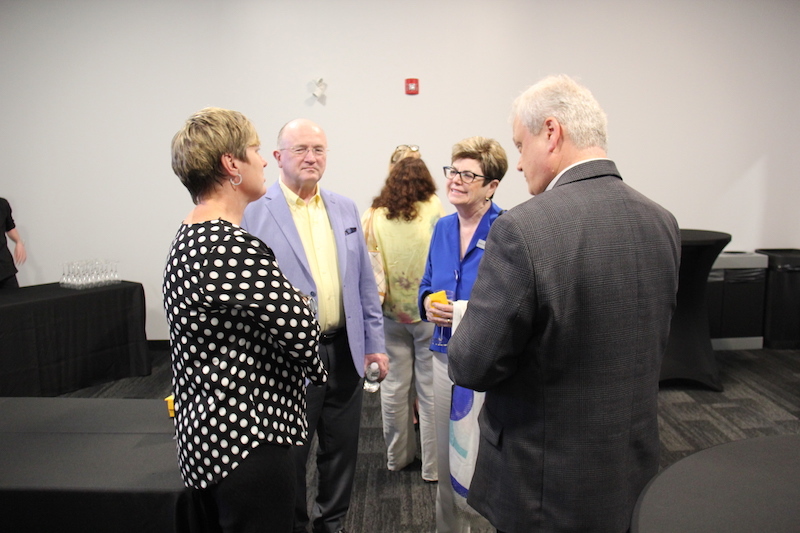 “We have a lot more industry and business coming to the area, we have a lot more people moving to the area, and I’m excited about what’s happening in our region specifically and how we can be a major player,” she shares.